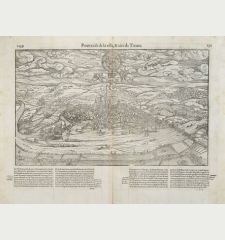 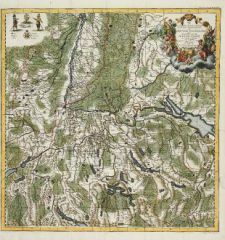 Antique map of Hochstadt, Blindheim. 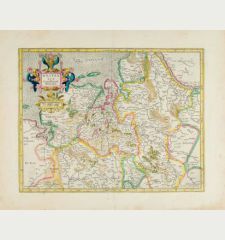 Printed in The Hague in the year 1704. 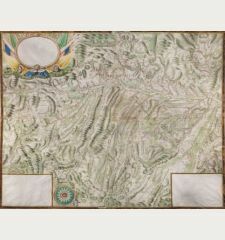 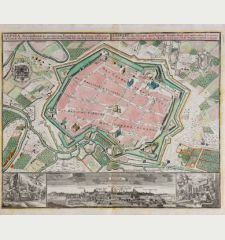 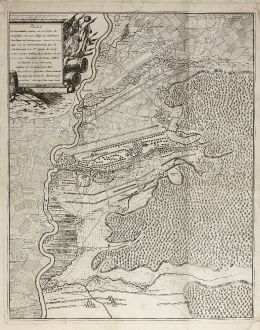 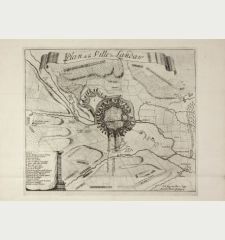 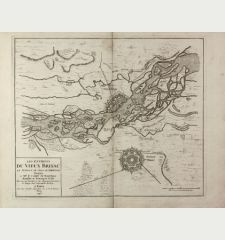 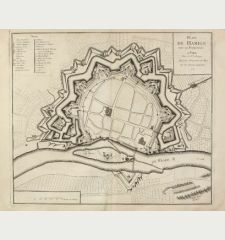 Very rare, decorative map of battle plan of Höchstädt by Anna Beek (also Beeck). 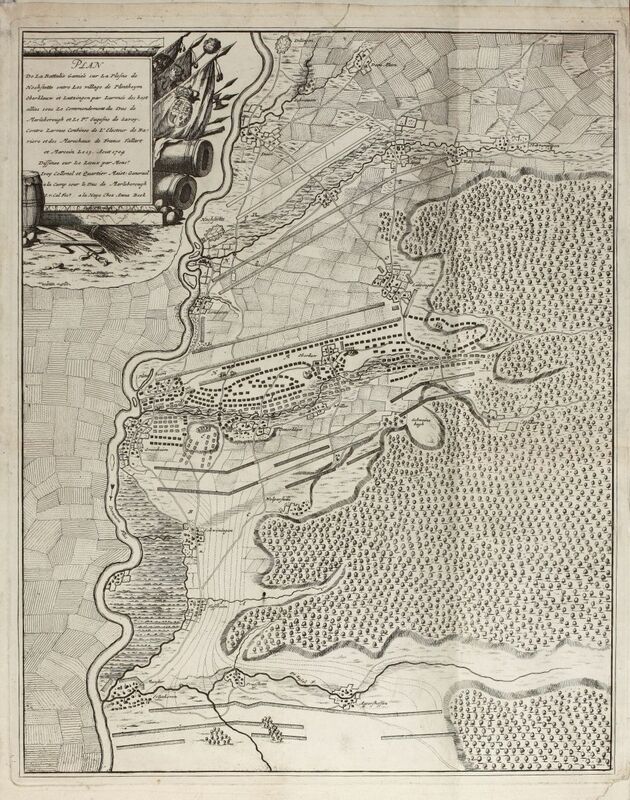 Showing the Battle of Blenheim, fought on 13 August 1704, which was a major battle of the War of the Spanish Succession. 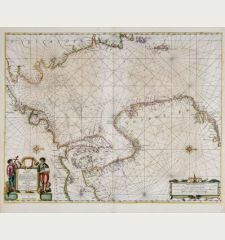 With a decorative title cartouche. 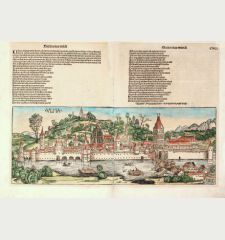 We only could locate one examples of this print in libraries worldwide, it is located in the British Library. 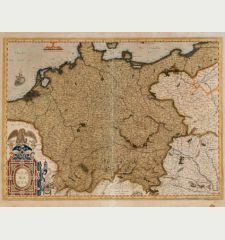 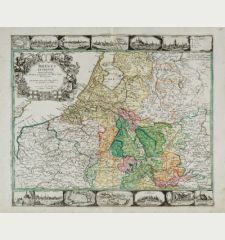 All maps of Anna Beek are very rare since they have been published separately, not in regular Atlases. 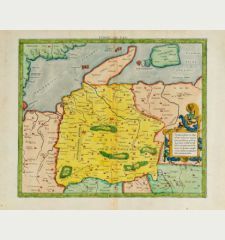 Sometime they can be found in Composite Atlases. 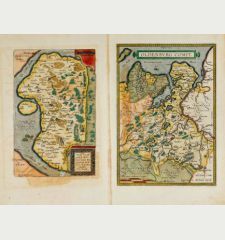 Upper and lower margin old expanded to fit into composite Atlas, vertical fold, small tear in margin backed. 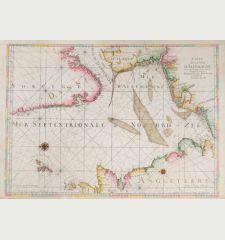 Good conditions of this rare sheet. 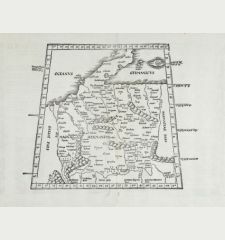 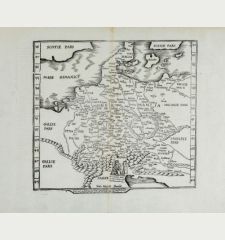 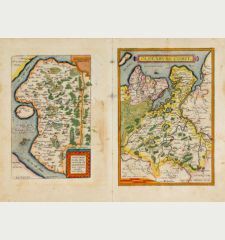 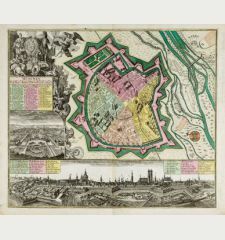 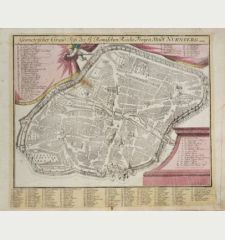 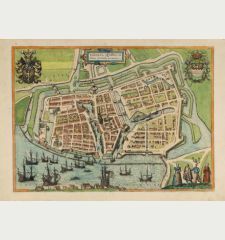 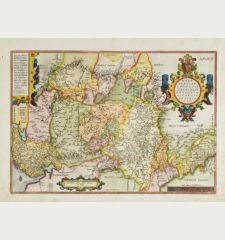 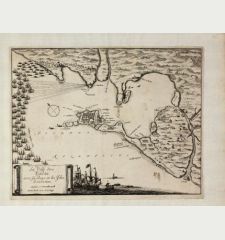 Anna Beek, born as Westerstee, was publisher and engraver of maps during the late 1600s in the Hague. 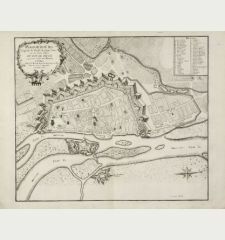 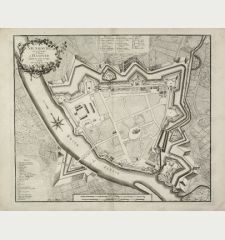 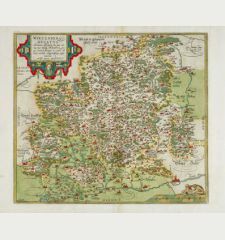 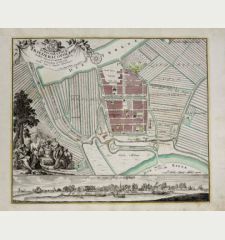 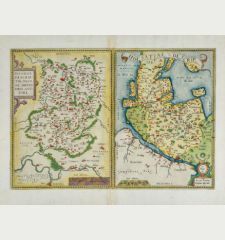 All maps of Anna Beek are very rare since they have been published separately, not in Atlases.